When it comes to iconic NASCAR car numbers, your first thought is probably Dale Earnhardt, Jr. when you see 88, Jimmie Johnson when you see 48, and Richard Petty when you see 43. Each one a motorsports legend now and forever, they've given meaning to those numbers through countless memorable performances over the span of their careers. As for the No. 9, it's without a doubt the Elliott family from Dawsonville, Georgia who immediately comes to mind. Both NASCAR Hall-of-Famer, Bill, and son, Chase, have made the 9 synonymous with success through two generations of racing, touching parts of six decades along the way. In the Folds of Honor QuikTrip 500 at Atlanta Motor Speedway this Sunday, Chase will reignite the legacy of the Elliott 9 racing in the Monster Energy NASCAR Cup Series in Atlanta for the first time in nearly 15 years. The elder Elliott used No. 9 when he arrived on the NASCAR scene in the spring of 1976. Building a legacy from the very beginning, he used the now iconic number in both of his Daytona 500 wins in 1985 and 1987, his 1988 Winston Cup Series championship, his 2002 Brickyard 400 victory and for seven of his record 16 Most Popular Driver seasons. 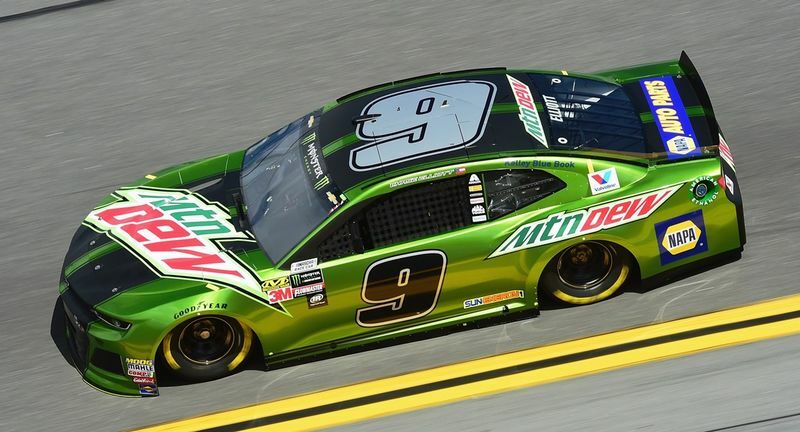 Though he ran different car numbers at different points throughout his career, the unassuming driver from the North Georgia mountains will always and forever be associated with the 9. It became more or less a trademark that carried with it an air of a true family racing tradition. When Chase burst onto the racing scene not much more than a decade ago, he took after his father both with his innate skill as a driver, and with the same number festooned to the side of his car. 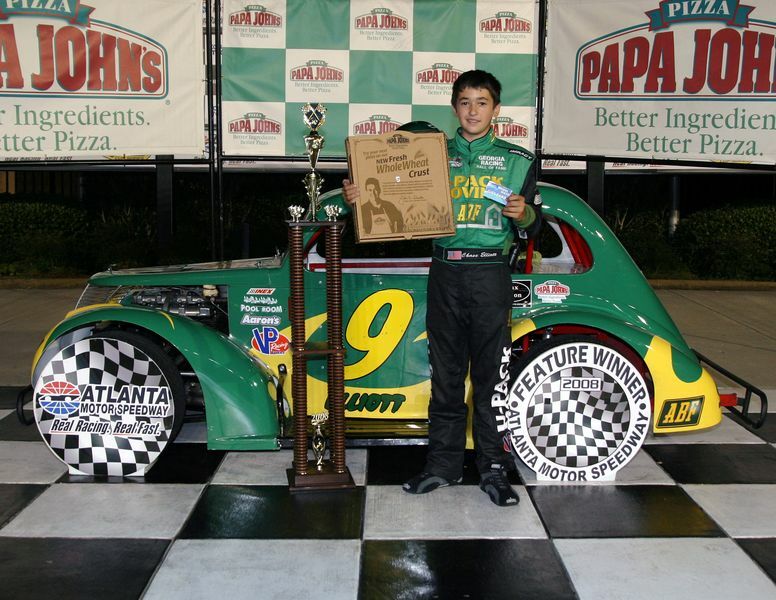 Beginning with karts and then Bandolero cars in Atlanta Motor Speedway's Thursday Thunder program in the late 2000s and continuing up through Legends racing, late-model competition, the ARCA Racing Series and eventually into the lower levels of NASCAR, the younger Elliott always sported the No. 9 or a variation of it, just like his Dad. In 2014, Chase won three XFINITY Series races, Rookie of the Year honors and the overall series championship with the 9 on his door and did similarly well in the same series a year later in 2015. By that point, as far as anyone anywhere in the motorsports world was concerned, Chase had done plenty to carry the legacy of the Elliott 9 well into another decade and another generation, with lots of racing still left to do. "The No. 9 being what it is, is special to me just because of the history I've had with it," said Elliott. "Obviously, I would have never chosen that number to start racing with if it wasn't for my dad. I have a lot of history with it myself with our XFINITY Series championship in 2014, and all my short track races were all in that number. It's just kind of home to me." 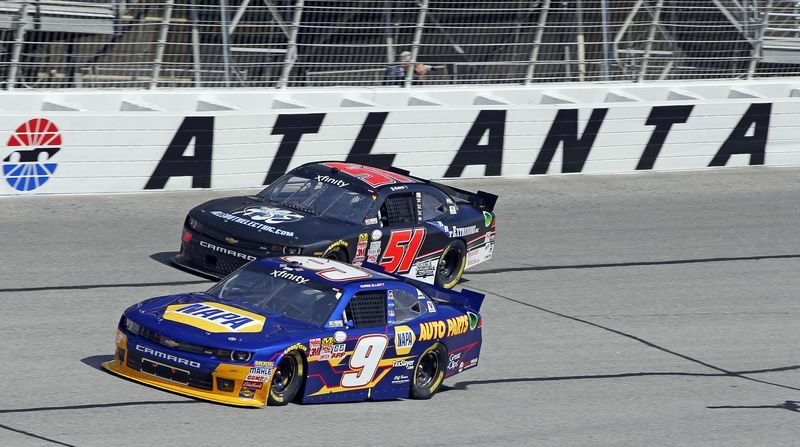 So it was somewhat strange when, in 2016, Chase Elliott stepped into the No. 24 car for Hendrick Motorsports in the Monster Energy NASCAR Cup Series after four-time series champion Jeff Gordon called it a career at the end of the 2015 season. Of course, though, it was an immense honor for a young rookie driver to inherit the number the great Gordon had made eternally famous over the course of his highly lucrative career. "I'm just very honored that he is supportive and is OK with me driving that number that he's done so much to make it what it is," said Elliott at the time. "I think it's an honor for me more than anything. Jeff wanted the 24 car to stay at Hendrick Motorsports, and for a guy who has been around and has done everything he's done to make this place (HMS) what it is, how can you not have respect for that?" And so for two years, Elliott drove the No. 24 car at the top level of NASCAR competition. And despite going winless through both of those seasons, he excelled as a young driver taking on the best of the very best, racking up 38 top-10s, 22 top-fives and even winning the pole position in each of his first two Daytona 500 appearances. Still, Elliott lived under the shadow of "Gordon's" No. 24 and the legacy he had left after more than 20 years at the top of the sport. 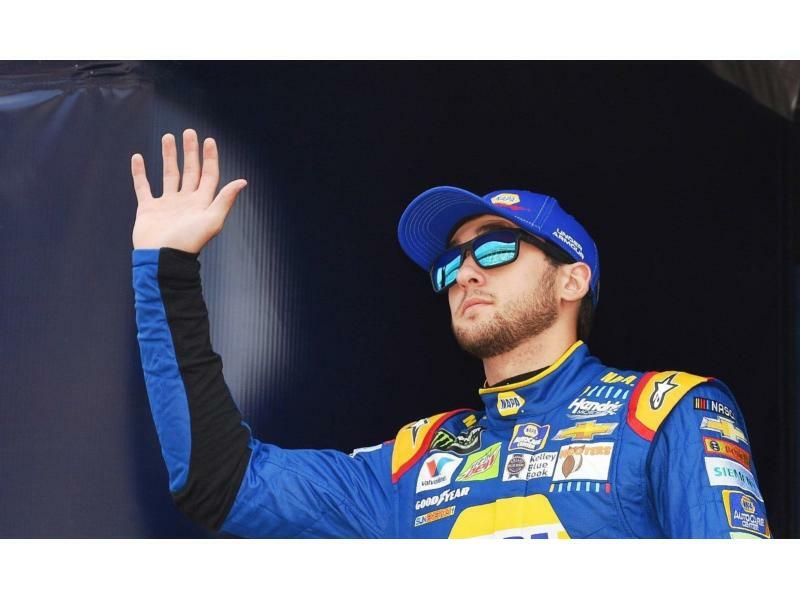 Then, in 2017, when it was announced that Kasey Kahne would not be returning to Hendrick Motorsports in 2018 and that William Byron would replace him at the four-car Cup Series team, an opportunity presented itself for Elliott to reassume more familiar numerical territory. In an announcement leading into NASCAR's "throwback" weekend at Darlington Raceway in the fall of last season, the Hendrick shop revealed plans for Byron to take over the No. 24 the following season and for Elliott to return to his roots and the venerable No. 9. "I wasn't sure I'd ever drive the 9 again, Elliott said. "It's a huge deal to my family and everyone back home (in Georgia), and I hope all of our fans will be pumped to see it back on the racetrack. There's a legacy attached to that number, and I want to carry it on. I think it's awesome that Hendrick Motorsports wanted to do this. It's impossible not to be excited." Combined with the opportunity to revivify a longtime family tradition and a release from the pressure of running the renowned No. 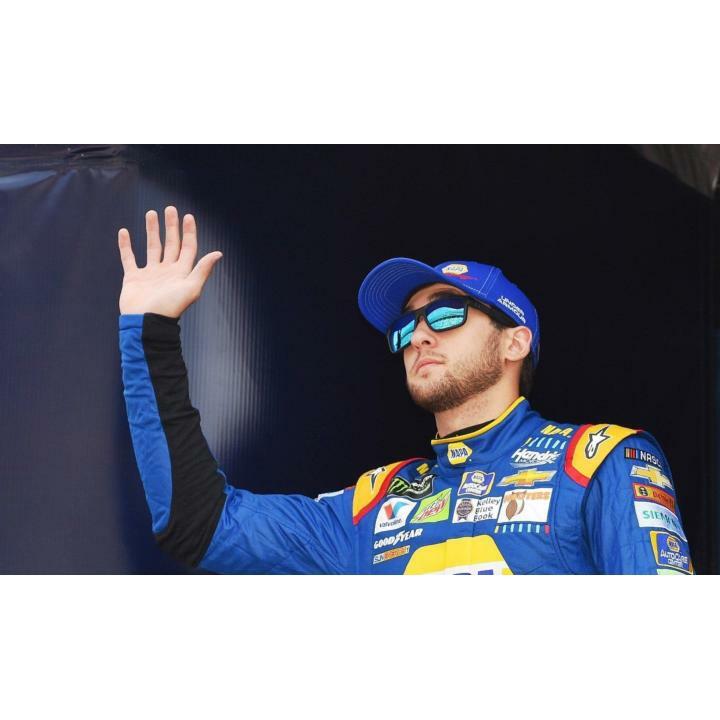 24, Elliott was glad to begin a new chapter as he entered his third season in the Monster Energy NASCAR Cup Series in 2018. "It's a great opportunity for me," he said. "It's definitely home for me in that number. It's what I started racing with. It's the number I have really always run except these last two years, so it's pretty special. The history is certainly there, and I am excited to carry it forward." His Hall-of-Fame dad couldn't agree more. "It was a great opportunity for us to have Chase use Jeff's (Gordon) number the last couple of years," said Bill, "but for me, it's fun to see him in the 9 car. I grew up driving the 9 all of those years and I've watched Chase drive the 9 at the short tracks and then through the XFINITY Series and then on to drive the 24 in the Cup Series. I think it will be fun. I think it will be really well received from the fans. I'm really looking forward to it." The funny thing, though, is not only will Chase be following in his father's footsteps as far as the number on the side of his car, but he has, in many ways, mirrored the start of Bill's Cup Series career when it comes his results on the track. 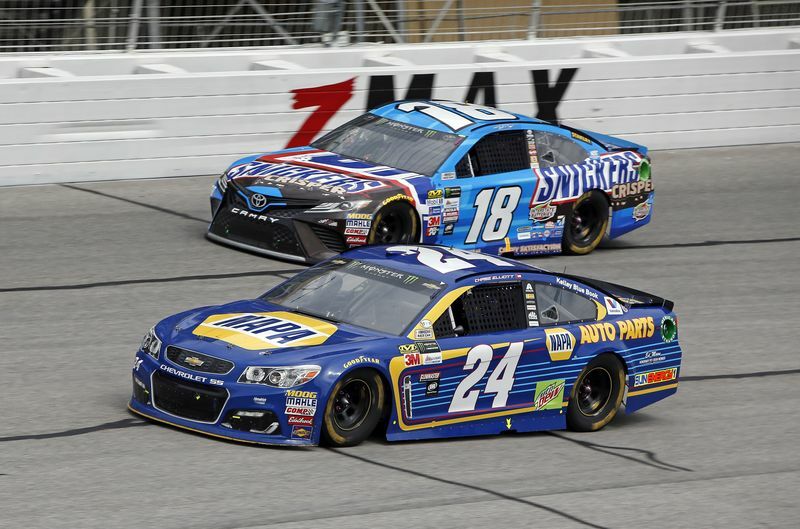 Though both were formidable foes and could run alongside the best drivers on the track in their early years in the series, the wins did not - and haven't - come easy for either Elliott in Cup Series competition. It took Bill 116 races and eight runner-up finishes before he visited Victory Lane for the first time in 1983. Similarly, through 77 Cup Series starts over two-plus seasons, Chase has finished third or better 13 different times - and has had his fair share of bad luck after great runs - without scoring a win. "Actually, there's some similarities in how he (Bill) got started," said Chase. "He finished second a lot before he won a race too. Kind of weird. But I think I've run second almost as many times as he has before he won his first race. I think that's probably the biggest similarity we've had so far." It must run in the genes. But whether or not his naturally modest demeanor will allow, he knows that first win is well within reach. With his superior on-track abilities, a strong history of winning in the Hendrick Motorsports shop and some of the best in the business putting fast race cars underneath him week in and week out, it's never been a matter of "if" he'll win at the Cup Series level, but when. "You never know what tomorrow brings, much less a couple years down the road," Elliott said about his career outlook. "But I think I'm fortunate to be in a situation where (car owner) Mr. (Rick) Hendrick has put a lot of trust in me to do well. He's had a reputation - his company - of winning, winning championships, winning races. I haven't really done that for him, but I'd love to do my part." Will being in the No. 9 going forward be that magical missing piece he needs to push himself over the edge and finally into Victory Lane? "I don't think so," he said frankly. "I can't see the outside of the car from the inside. So, at the end of the day, is it going to make me go any faster? No, probably not. Do I think it looks better? Yes, I do. Is it my favorite number? Yes, it is. Has it always been my favorite number? Yes, it has been. So, all those things are great. I'm very luck and honored to carry the number that I've carried for a number of years before this year, so it's like getting back home to me from that sense. But no, I don't think it's going to make me go any faster or slower." Still, it's can't hurt to try something new, especially when it means so much to so many people, driver and family included. "I think anybody that's followed me for any period of time probably associates me with that number, and I think it just fits. I mean, if you could choose your favorite number to race with, I think everybody would, wouldn't you? His father won three times at Atlanta driving the No. 9 car in the 1980s, and if Chase has anything to do with it this weekend, he'll follow yet again in the footsteps of Awesome Bill and put the 9 back in the same Victory Lane he did so many times in a Bandolero car not all that long ago.